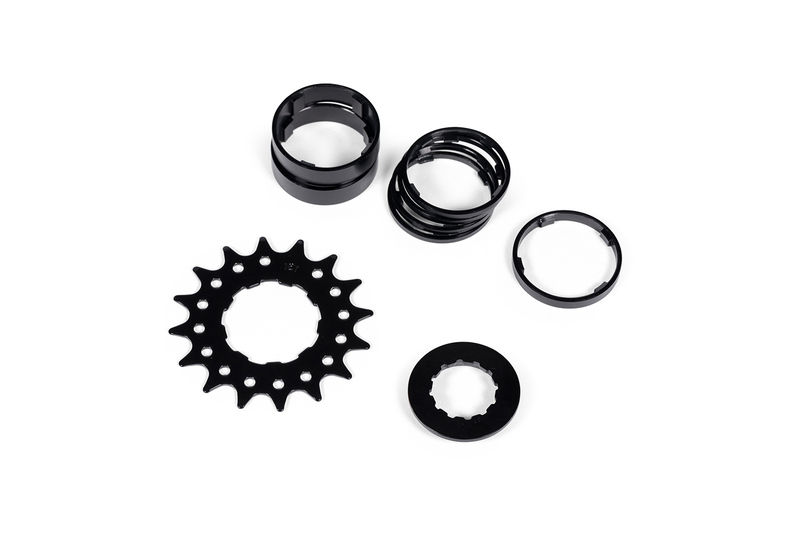 With the single-speed conversion kit it is possible to convert a conventional hub with freewheel body to single-speed. 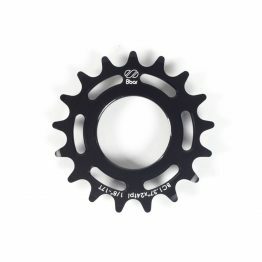 With the single-speed conversion kit it is possible to convert a conventional hub with freewheel body to single-speed. 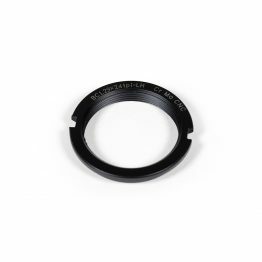 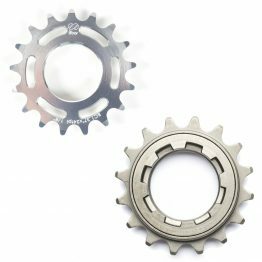 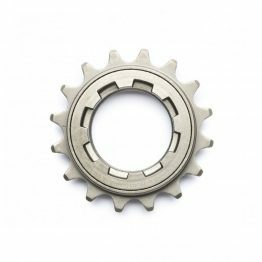 In order to guarantee a straight chain line, the sprocket can be optimally positioned on the freewheel body thanks to a total of seven different spacers.